Here are a few more photos of the wedding of Leigh and Jonathan. Isn’t the color scheme just beautiful? 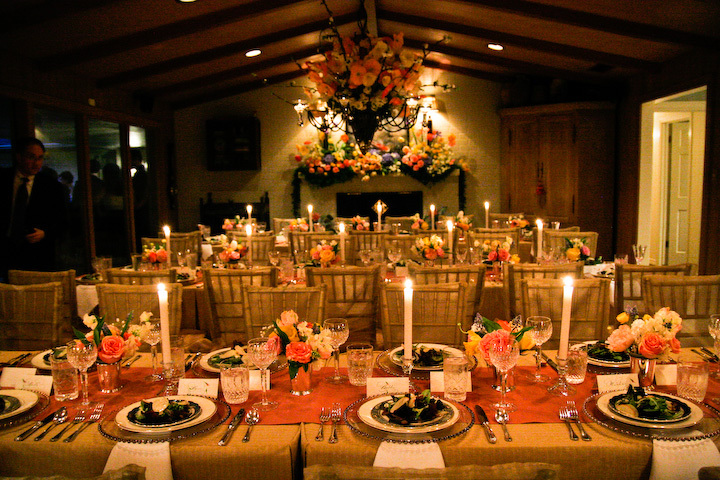 The home was completely transformed to accommodate all guests in one room for the candlelit dinner. What could be more romantic than a wedding at home? 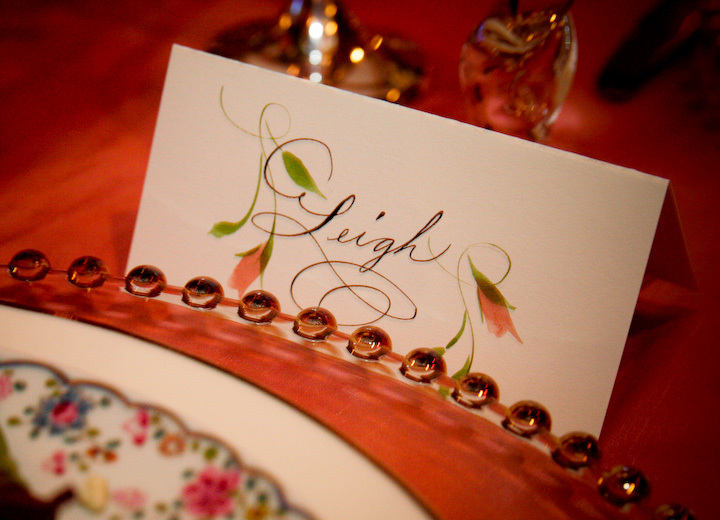 Simply putting a first name on the place card makes the affair even more intimate. We custom mixed a coral color blossom. Note to brides to be: Be sure to take some black and white photos! Photos: Gray Hawn Photography. Used with permission.